In stock -This product will ship today if ordered within the next 3 hours and 10 minutes. Viridian 100% Organic Woman 40+ Omega Oil is a highly nutritious blend of organic oils. Providing a blend of plant seed oils in an Omega 3:6 ratio of 2:1 along with GLA and Omega 9. The plant seed oils are naturally rich in the parent fatty acids - linoleic acid, alpha linolenic acid and oleic acid, along with a full spectrum of the vitamin E family members, tocopherols and tocotrienols. Can be added to fruit or vegetable smoothies, salad dressings, dips, soups or as a condiment on vegetables, pasta, rice, potatoes or just taken from the spoon. 100% Active ingredients. This vegan product is free from gluten, wheat, lactose, added sugar, salt, yeast, preservatives or artificial colourings. Non-irradiated. Against animal testing. 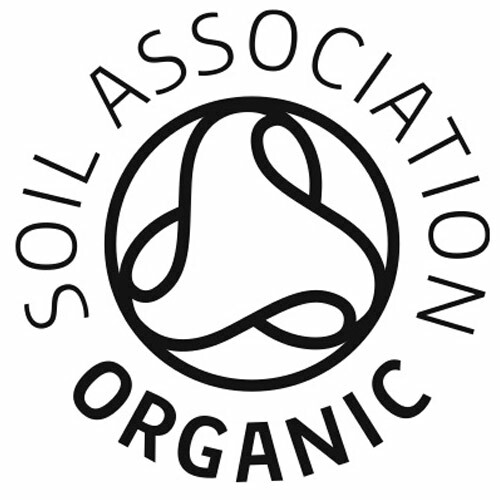 Organic golden flax seed oil, Organic borage seed oil, Organic perilla seed oil, Organic argon seed oil (infused with sage), Organic evening primrose seed oil, Organic sea buckthorn fruit oil, Organic blackcurrant seed oil, Alpha linolenic acid (Omega 3), Linoleic acid (Omega 6), Gamma linolenic acid (GLA), Oleic acid (Omega 9). As a food supplement, take two to three teaspoons daily with food, or as directed by your health professional. 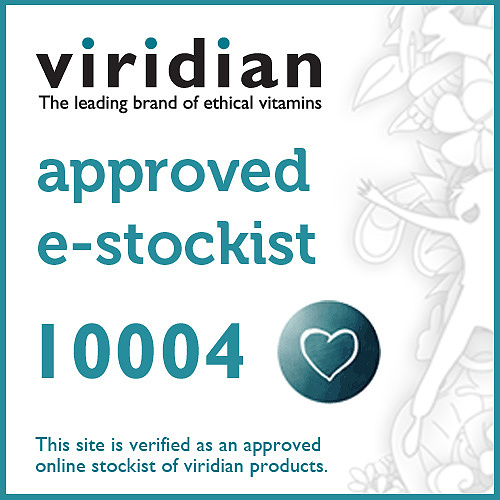 Below are reviews of Viridian 100% Organic Woman 40+ Omega Oil - 200ml by bodykind customers. If you have tried this product we'd love to hear what you think so please leave a review. 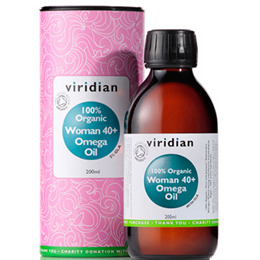 Viridian 100% Organic Woman 40+ Omega Oil is a highly nutritious blend of organic oils. Can be added to fruit or vegetable smoothies, salad dressings, dips, soups or as a condiment on vegetables, pasta, rice, potatoes or just taken from the spoon.